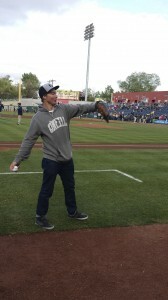 Olympic half-pipe gold medalist David Wise, 23, of Reno, warms up before tossing the opening pitch at Saturday’s Reno Aces game. David Wise toured his hometown as a champion Saturday. 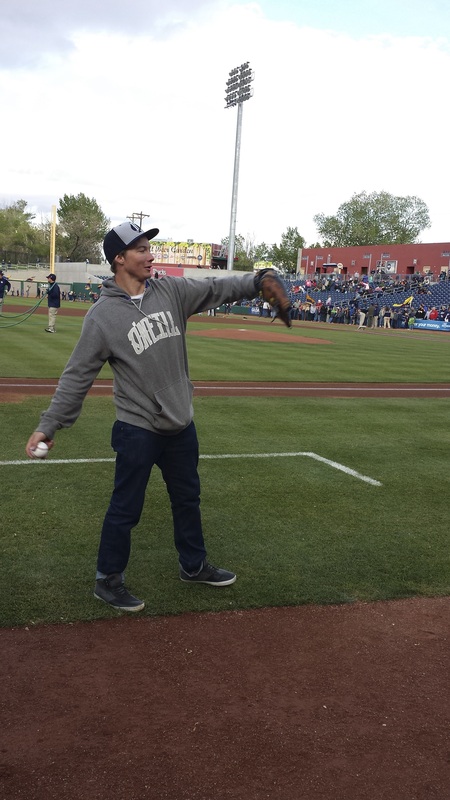 That evening, the City of Reno hosted a Parade of Champions for Wise, a 2014 Olympic Gold Medalist in skiing halfpipe in Sochi, Russia, and the first Reno resident to win winter gold. Wise attended along with his wife, Alexandra, and daughter, Nayeli. 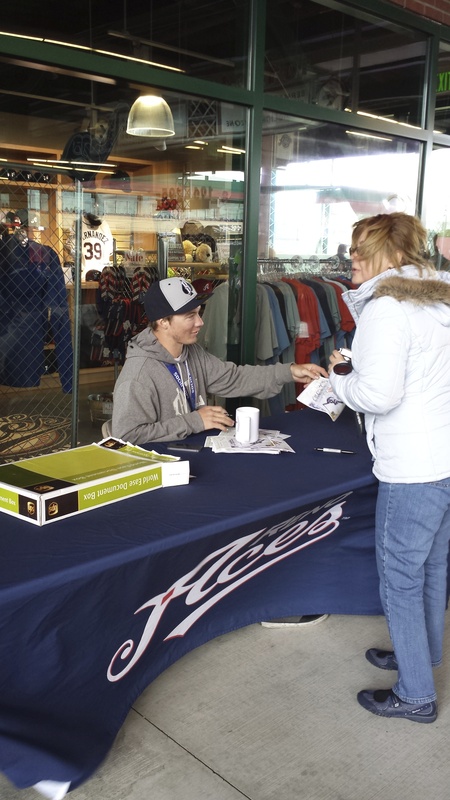 The parade began downtown and ended at Aces Ballpark, where Wise signed autographs before the start of Saturday’s Aces game and threw out the first pitch. At 23, Wise has it all. The world-class skier and his wife, Alexandra, got married in January 2011 and she announced via Instagram Saturday that the Wise family will be welcoming a new baby later this year. Wise signs autographs for fans at Saturday’s Reno Aces game. Wise knows he stands out from the rest of the pipe skiers, not only for his skills, but for having a parent’s lifestyle. While his competitors hang out with friends, travel the world searching for winter and hit the party scene, Wise hurrys home to spend quality time with family. Now it’s time for the Olympic star to take a break. Wise’s summer training plan includes mountain biking, relaxing and getting used to being in the spotlight. “I’m doing more appearances now than I ever did,” he says. Reno’s favorite son expects to defend his halfpipe title in 2018 in Pyeongchang, South Korea. The scene at Saturday’s Reno Aces game.